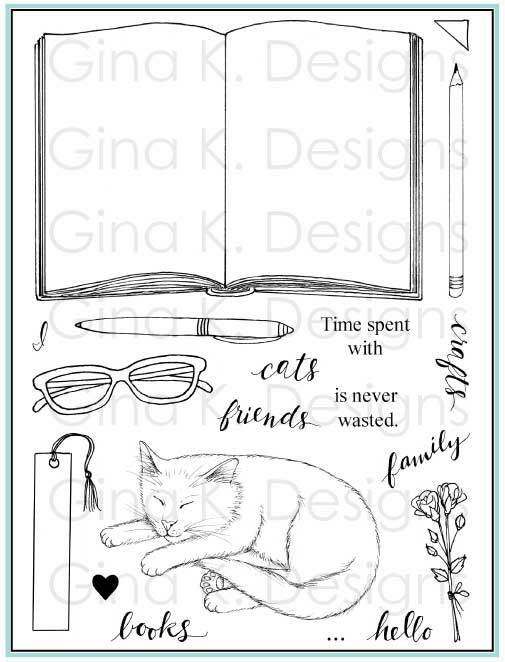 Inspiration Hop, Day 2: "Birthday Bash" and "Dreams"
Welcome back to our second day of the May Inspiration Hop with Gina K Designs, I hope you all had a safe and excellent holiday! The first set we have is Rupa Shevde's " Birthday Bash". This blushing bunny with a belated gift behind its back is so "me"! I paper pieced the package to match my mat and used a long length of curled grosgrain ribbon on the side to suggest some very last minute wrapping, most any time I give a gift I wrapped it 90 seconds before I gave it to you and the evidence of that is nearby, hee hee! Cardstock is Pure Luxury White, Turquoise Sea, Red Hot, and DP is DCWV Citrus. this photo shows the layers I did to build up the dimension. The line art uncolored one is what it die cut with the rectangle. the package, which I added a little red Copic to the ribbon and some gray for a shadow outside the bunny outline, gets glued on next, and finally the front of the bunny is popped up over that. 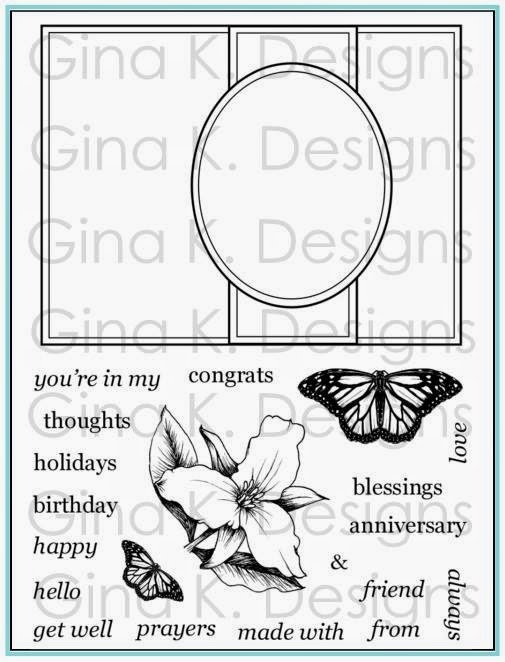 I could have used some larger butterfly stamps for a background but I wanted them to be dimensional so I decided to go through my die and see what I could make since I don't have any butterfly dies. Looked like this little medallion from a Nestabilities Renaissance Hearts Pendant set ought to do the trick! I put a strip of three adhesive pearls over the sections to join them in front and then added a strip of Scor-Tape to reinforce it as well as attach it. I sponged pink and lavender inks onto my mat and then stamped a few tiny butterflies in lavender to the corner. The trail is hand dotted with a black gel pen. Cardstock is Pure Luxury White, Black Onyx and Lovely Lavender. Hope these projects inspired! Please enjoy hopping with the rest of our fabulous design team and I hope to see you back here tomorrow! Eek, I am so sorry I spaced out on the Memorial Weekend Blog Hop I told you about a couple weeks ago (can't believe it's been two weeks since I posted that!)!! Had some stuff going on this week that the holiday completely snuck up on me, not to mention my kids are in school today(make up for a snow day) so I keep forgetting what day it is now! Did any of you get a chance to participate? Here is the link for the Operation Write Home blog hop if you didn't get a chance to check it out over the weekend! 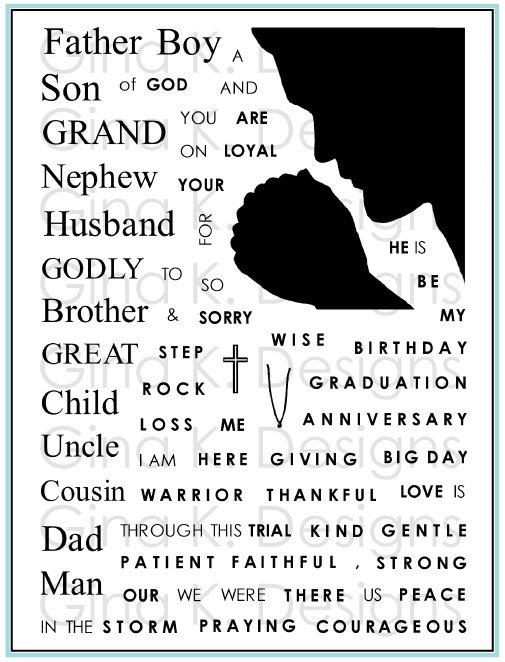 Here is a quickie card I put together ( yes, two days late but I did get it up on Memorial Day at least!) using "Border Bling" and the "Where Your Heart is" set, these blingy frames are nice for framing images as well as sentiments,and sometimes it is fun to use a smaller image or die cut inside the frame so that bling really acts like a "border" instead of a "label" like I did here. 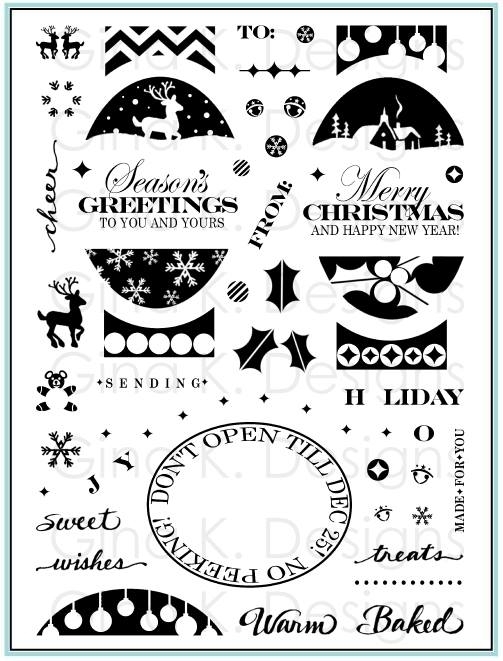 TIP: It would have been SO much better if I'd held off off on adding the pearls and embossed a larger Labels Four die border around my dots to form a nice embossed border outside the bling, oops! There I go, goin' crazy with the pearls again hee hee! Where Your Heart Is" is featured in "Our Favorite Products" in the Cardmaker July 2011, their Stars and Stripes issue! 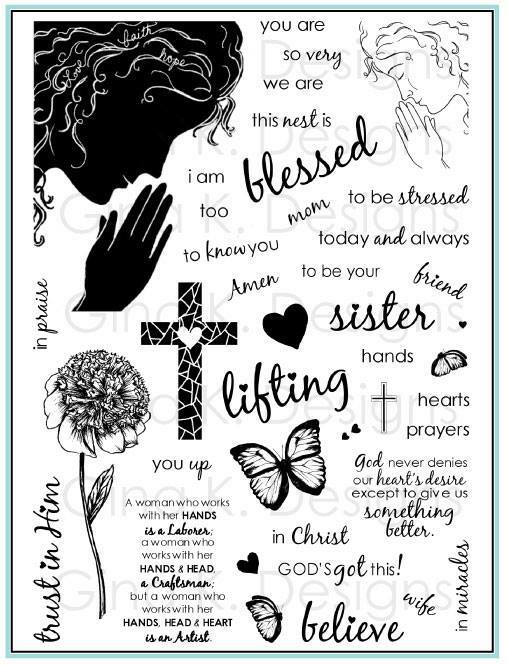 They are also featuring Operation Write Home in their "Readers Reach Out" section this month, I hope you can donate some cards, please check out this issue for more details on sending cards or go to the Operation Write Home website! Thanks CardMaker for supporting this terrific organization! 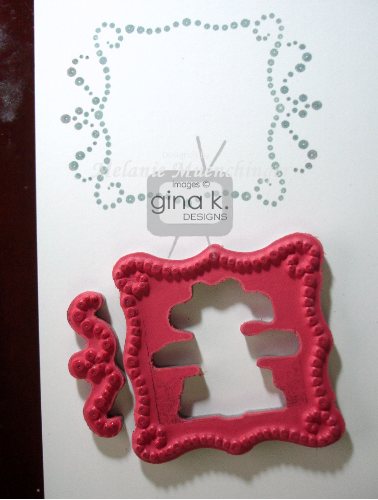 Our Gina K Designs Inspiration Blog Hops continue tomorrow, stay tuned! Blinging up the Border Bling! First I stamped the flourish above and below the border that matches Labels 1. Isn't it pretty what that adds? This is exactly the same but turned sideways, another great look! And here I have stamped the flourish again on either side. Love how fancy! Now I am adding the smaller oval to the inside. When you stamp all the borders, notice how they have larger bling in the middle on each side. Line these up over the lines on your block when adhering, and then when you stamp, position the lines of the block so they are intersecting with the border already stamped, then you know it will be centered and straight. See how the white lines on the block go right through the dots on the label on stamp? 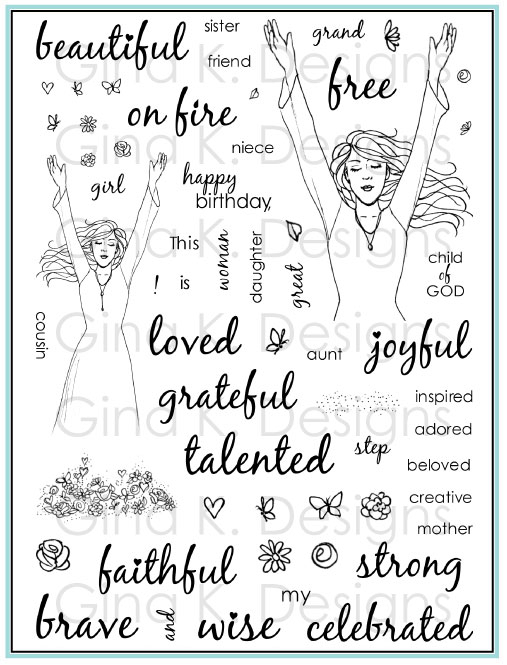 The fun thing about oval border, since they are oblong, they look so different when they are positioned vertically or horizontally, and give you lots of flexibility with all the sentiments stamps whether they are formatted more vertically or horizontally. When I started stamping this I was going for a fancy looking medallion, something like a Label 16 that I could just cut around the borders with scissors (which works very well, as I will show you in an upcoming post!) but I noticed how this would also look great in a round die! Yeah!! Whether you're a pro or novice with the Liquid Pearls, for best results I think you'll be happiest with stamping with an ink that is a very close match to your liquid Pearls color so that if you are a teensy bit off or don't get the dot filled completely it will be less obvious. 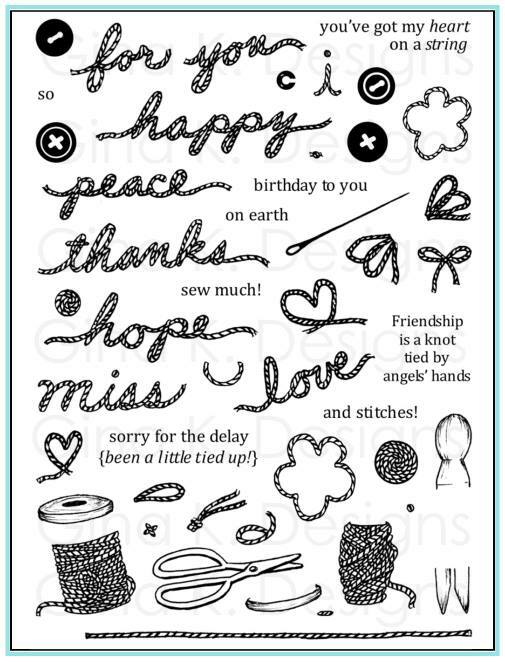 Also, if you don't plan to cover every dot the uncovered stamped dots will blend more with the dimensional pearls in your design. Having said that, tough, I definitely plan to do some "Border Bling" designs using multiple colors! Okay, more to come! I am too busy trying different things and coming up with more tips for you to finish my card with it just now! ;) TTYS! inspiration hop, Day 1: "Border Bling" and "Vogue Vases"
Here is the sample I peeked yesterday, it uses paper from the new Stamp TV "Vintage Chic" kit, (these sets are really a match made in heaven with it's bling, and sentiments that match pretty much all of Gina's images, will be fun to mix them up!) 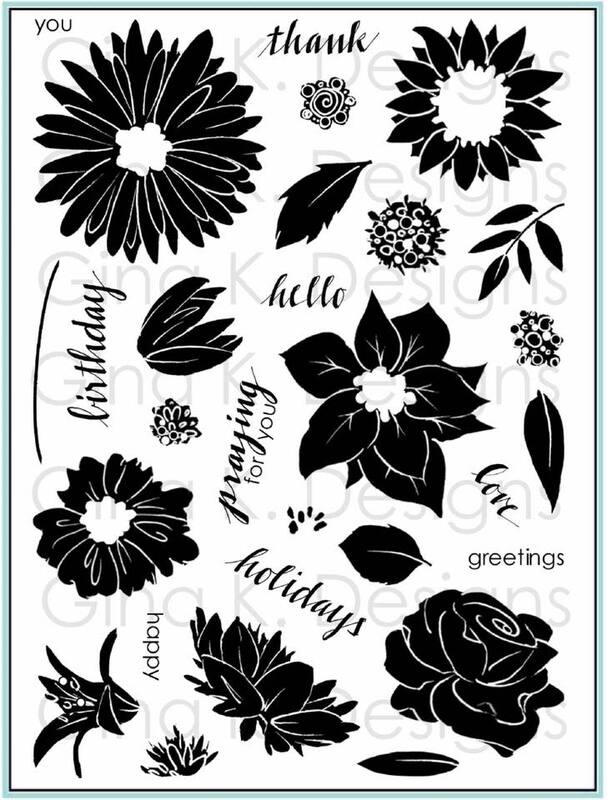 this border is stamped in black on a Labels Four die cut and then enhanced with one of the smaller bling elements in the set (that are made to fit into corners of the borders, mats, etc) in gray. Don't you love this quote? Any of you know who* said it? (hint: she is FABULOUS and I would have included it but didn't have room on the plate, we needed more bling MORE than her name LOL! No, it's not Gina, but that's a good guess, hee hee) I am head over heels with this font, too, it is very vintage and so sassy with the bling and for all your girlfriend cards! To go along with this star quote, I added some new bling shapes, so now in addition to the pearls, you've also got RHINESTONES and stars to play with! Hope you will spy some of them along our hop today, I will be using a few of them on samples in the following hop days, so stay tuned! I added her long border that can be used as a shelf OR just as a decorative element, that's gonna be a fun stamp! I sponged the edges of the Grass Green Pure Luxury with a deeper green ink and added some ribbon from the new StampTV kit. Still can't get enough of the new Key Lime! Aren't you just loving how everything looks so beautiful together in this release? You're invited, check it out! Hello, and thank you for coming to my blog today! 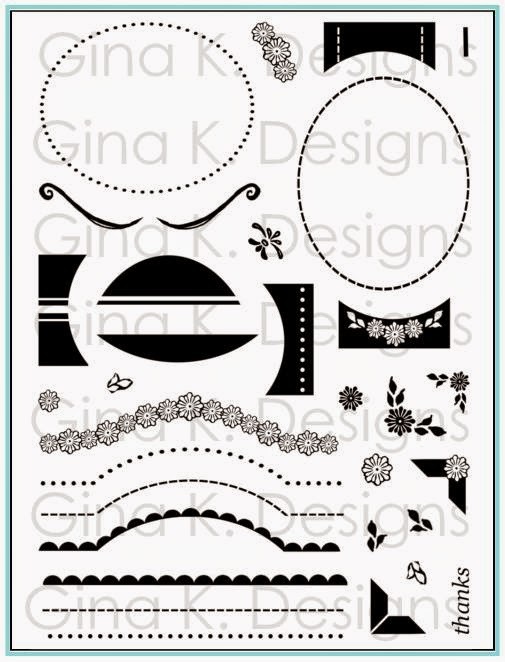 I'd like to personally invite you to our Gina K. Designs May Release Party! We have a fun evening planned for you - chatting, prizes, challenges, stamp sets reveal, design team shares, and most importantly, at the end of the party you will be able to go shopping! If you came from Michelle Woerner's blog, you're at the right place. If not make sure to head over to StampTV (link to StampTV's main forum) where you will find a list of all those participating in today's hop. Here's a sneak peek of one of the cards I will be sharing at the party! It uses my newest set, "Border Bling", made to enhance your favorite Nestabilities, (I know you'll love the fabulous sentiments included! ), with a little "Bring the Bling" in the corner there, see? Yes, they coordinate! (You can't have one with the other...!) So excited for this one!! :) Thefull card and many others from me and our team tonight, be there! Head on over to Lee Murphy's blog to see what sneak peek she's sharing with you today and see you back here tomorrow for the beginning of our four day Inspiration Blog Hop series for May! Thanks again for hopping with us! Watch your character, it becomes destiny. (I'm a busy bee stamping for our release this Thursday! By the way, how'd ya like that sneak peek snippet from Friday? ;) She's not making you guess anymore, it's all out in the open, LOL! I'm so excited to share samples with it!! Hope you are enjoying the snippets and counting down to the party, we are! broke up with her and her best friend is moving away. ‘Would you like some flour then? But when they are put together in the right way, they make a wonderfully delicious cake! ’God works the same way. Many times we wonder why He would let us go through such bad and difficult times. But God knows that when He puts these things all in His order, they always work for good! We just have to trust Him and, eventually, they will all make something wonderful! Whenever you want to talk, He will listen. I was feeling pretty sorry for myself in the afternoon at all the wasted time, when I could have either done chores if I hadn't been working on it, (or better yet, exercised, which I desperately need to do, or played hooky! Donna and I were supposed to go have lunch and I cancelled hoping I'd be really productive instead, wahhh!) I also ended up with bad cramps in my neck and shoulders from sitting at my desk so long. Anyway, I went to Bible study and turned my attitude around, I'm of course VERY grateful that all I had to worry about yesterday was playing with some paper and that not finishing it DIDN'T make the world fall apart! And thankful that I was able to have quiet time, even if it didn't yield what I wanted, instead of chaos. I get a little down sometimes when I don't feel I've accomplished all I should, but time with my pastor and then with my kids helped me redeem the day. I'm so thankful I get another day, and Lord willing, another after that...! I have been looking forward to trying this color combo with "Branching Out", how do you like? Lemon Drop, Black Onyx, and White (and inked up with Memento London Fog). I omitted the bottom portion of the frame for this greeting and accented each side with White Opal Liquid Pearls as well as the flower centers. 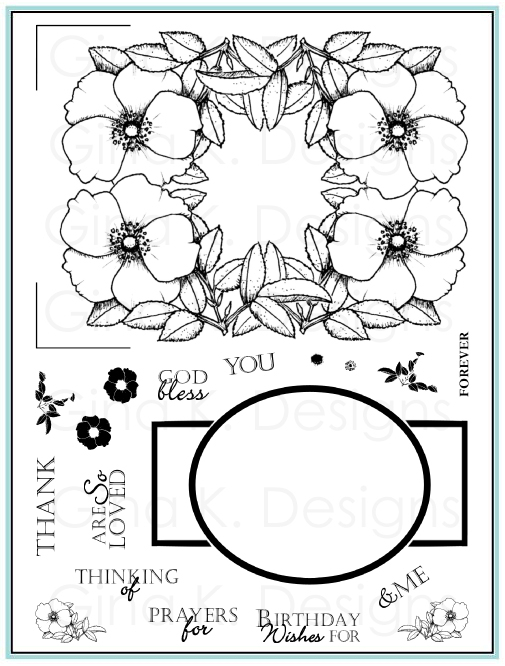 Oval frame is cut and layered with Classic and Scalloped oval dies. Have you tried the Liquid Pearls yet? TIP: When I use Liquid Pearls to make drops, as I pull the bottle away, I do a quick circle of my wrist, like I'm making a swirl in Dairy Queen in soft serve!) to pull the drop around so it doens't dry up in a point from pulling the bottle straight away, this pulls that little end around and down so it dries into a nice neat pearl, make sense? try it! Perfect way to display your cards! So although it IS still available (today only!) I should have let you know about this deal a few days go, sorry for the delay! You've probably seen a lot of these make you own photobooks, and SweetDeals is offering a large hardcover photobook you customize for only $10 ($35 value) Well I just realized the other day that not only will this be nice for making a coffee table book of a vacation or the kids picture, but it would ALSO be GREAT for making a very professional portfolio of photos of some of your favorite CARDS you've made!! Think about how nice it would be to display a large body of your work in a professional bound hardcover book rather than carrying them around to get messed up or printing out pictures of them! Imagine it for a minute, wouldn't that look sharp? I'm not sure why I never thought about that before when I see all these Shutterfly deals, etc, but I am love this ideas now!! What about you? have any other great ideas about how to show off your cards that is easy, efficient, inexpensive? We'd love to know, please share! and then I decided to let the little bird in Gina's "Springtime Silhouettes" fly away by inking up the cage only without the bird, be free!! :) I accented the branches and popped up stamped and cut flowers with White Opal Liquid Pearls. TIP: Snip in between the petals and curl them out with your fingers to add more dimension. And finally a tip on betting your birds to perch properly: use a grid line block and center the image on where there little feet would be (body meets tail) over the cross hairs. Then line up the horizontal line on your block with where you want it sitting, easy peasy! 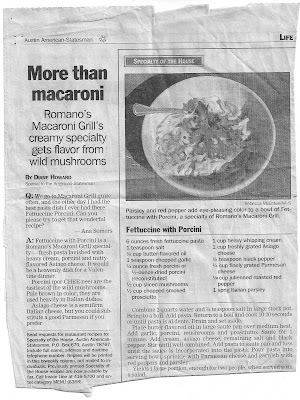 Here is that nummy num num pasta recipe from Macaroni Grill I told you about last week, not hard to make but sure to impress! :) Click the pic for a closeup! 1 Million Cards, You MUSTSee This! I'm just thrilled and honored to have been a teensy tiny part of that. :) Something special is coming up, too, with the "Where Your Heart Is" set and OWH, I look forward to sharing with you! Huge thanks and congrats to all those volunteers and all of you who are sending cards on a regular basis to OWH that make such a difference in the lives of all the troops and their families! There is also a big Operation Write Home blog hop coming up for Memorial Day, check out the details here, would love to get as MANY peeps as possible participating! (how about a MILLION??) LOL! now that would be SOME hop!! Please plan to join in if you are able! Hope you are having a great weekend! Things are good over here, just lots going on, i hope to post some new cards for you shortly! Thanks for visiting! Thanks for all your comments yesterday, I felt "seen", hee hee! ;) Wanted to pass along something similar (although maybe I should save it for a few weeks from now when you need to be lifted up again LOL! ), probably the Biblical inspiration for that cathedral story, I read it last year on my Kindle (another free download at the time!) called "200 Pomegranates and an Audience of One: Creating a Life of Meaning and Influence" by Shawn Wood. Its focus was the story of Huram of Tyre (not the King Huram, another Huram) from 1 Kings (if you don't remember this story that's okay, 1 Kings is not one of those books you go back to like Gospel, the author acknowledges this is a very obscure story!) He has a tiny mention because after honing his craft he was chosen to put the finishing touches on Solomon's temple and his job was carving the 200 pomegranates at the tops of 30 foot pillars (too high for anyone to truly appreciate the intricacies of his work). This is one of those details we tend to skip over when we read the Bible or might think "why are they telling me this?" and then not think of it again. 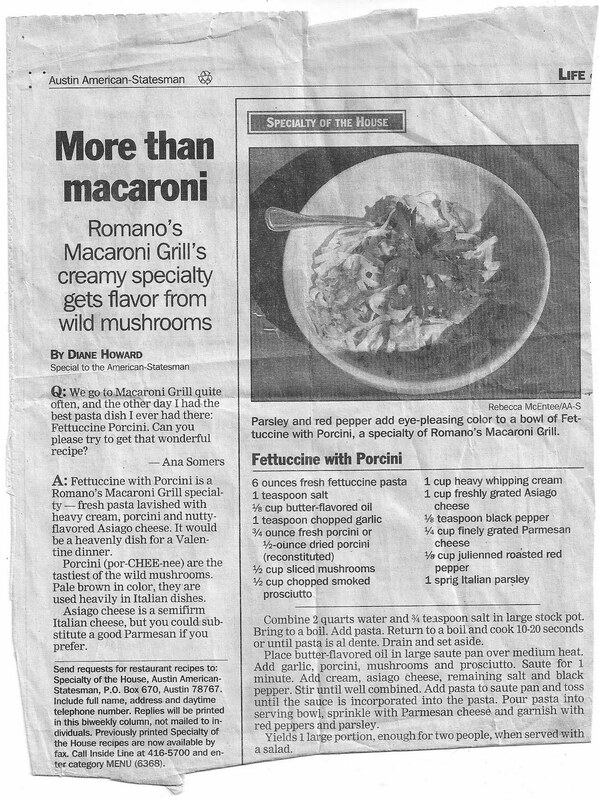 But God remembered and recorded this labor of love for all time, Huram's amazing contribution was using his talents and doing his job with integrity and humility. If everyone is an artist, then life is a grand work of art. A wonderful story (worth reading again if you've heard it before), which illustrates the joy and worth of working for "an audience of one" and the great cathedrals you are raising up! (I did NOT write the story below, it was forwarded to me, thanks Faye!) Enjoy! In the days ahead I would read - no, devour - the book. And I would discover what would become for me, four life-changing truths, after which I could pattern my work: 1) No one can say who built the great cathedrals - we have no record of their names. 2) These builders gave their whole lives for a work they would never see finished. 3) They made great sacrifices and expected no credit. 4) The passion of their building was fuelled by their faith that the eyes of God saw everything. No act of kindness you've done, no sequin you've sewn on, no cupcake you've baked, no Scout meeting, no last minute errand is too small for me to notice and smile over. You are building a great cathedral, but you can't see right now what it will become. Here's a little poem I found in the bottom of William's backpack last week. I have to please ask for your continued prayers for our health, it turns out he has walking pneumonia, and will be home for at least another day before he can be around other kids at school since it is contagious. He's also not allowed to do anything too active for the next several days so his lungs can rest, that's going to be hard for my Energizer bunny!) I hope hope HOPE none of us get it because we have a LOT going on right now! Thanks so much for comments, emails and prayers! Had a terrific story emailed to me yesterday, I'll post later, gotta keep cracking on some work, have great day, thanks for stopping by! Here are a couple more cards I made when I had my stamps out the other day, the exact same way I showed in this post, I wanted to add some samples with different colors to show a few other different looks you can get with your sponging, one using yellow and green (and rhinestones), the other pink and purple (with silver nailheads). Please pray that Williams gets better and we don't come down with it, besides wanting him well (and I'm concerned this could turn into wheezing tonight and date with the nebulizer) I have so much to dooooooooooooo this next week, eek!!! Thank you! After 6 months of keeping it a secret, we are extremely excited to announce that our company will be featured on ABC's reality show SHARK TANK this Friday! This is a huge opportunity for our company to gain the partnership of a 'shark' as well as get national exposure for the brand YOU already discovered. If you have never heard of Shark Tank, we highly recommend checking out some past episodes. Our Shark Tank episode airs this Friday May 6th on ABC at 8PM Eastern and Pacific/7PM Central and Mountain. Please watch our episode and tell your friends and family as it truly will be entertaining. Second, we have a shark attack deal going on Sphear. Any purchase over $50 before shipping, will get a free Sphear Speaker ($29.99 value) . Dad's n Grad's is coming up! Quick card for today using "Branching Out" cut with a Spellbinders Standard Circle Nestabilities and layered over a beautiful Die-namics Dizzy Doily die, birthday prezzie from Carolyn, ins't that beautiful?? (Sentiment looks a bit muddy becuase I didn't clean the stamp well enugh before inking it wh pink, oops! base is Pure Luxury Black Onyx and also uses Bubblegum Pink and White. 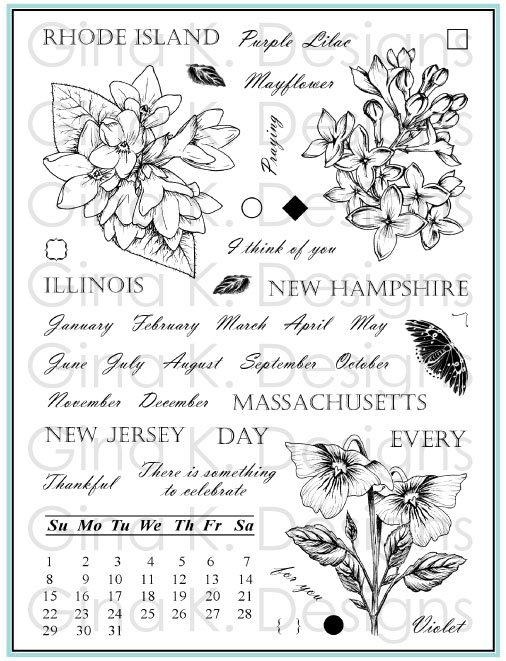 Flowers are inked up in pink and stamped on the pink cardstock , cut out, popped up and acccented with a silver nail head. Off to the Earth Day Festival for the kids at school, back with more detials and a fun announcement! Good morning! Today I have a masculine card I made with "A Year of Borders" and "Follow Your Dreams", with the new "Timeless Textures" stamps from Gina K Designs working overtime as a plaid background, let me show you how easy! I was so glad Gina provided some of the textures in large blocks for kissing or long strips like this one for making borders and patterns, here is the first step creating a checkerboard pattern of brown stripes, a grid line block makes getting the stripes parallel and perpendicular to each other easy, just line it up and go! I always start in the middle and work my way out to either side so the pattern will be centered. Now clean your stamp and go back in between the brown rows with green, looks just like real plaid right? I'm excited to make these backgrounds in different colors, and how perfect for Father's Day coming up! Here is the card again, my favorite detail is the skinny strip of Green Apple CS I tied through the corner, just poke 4 little holed with your piercing tool, thread through and tie! Hello and welcome back! 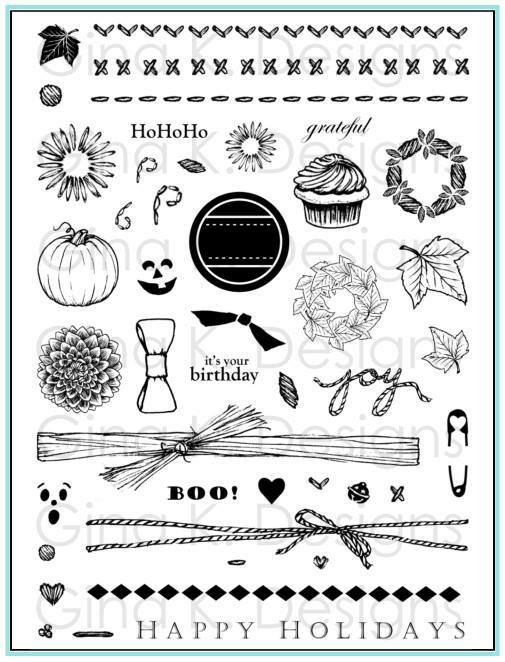 Just wanted to show you a couple fun ideas for the "Crazy Daisy" digital papers today, sorry it has taken me so long! Of course you can use the full sheets or quarter sheets for paper piecing or background mats, but here are a couple maybe not so obvious things you can do with the different colored papers, since they have the same patterns on each, to give you some new looks. I started cutting out the continuous flower border that run though the middle of the pattern at a diagonal. I wen corner to corner so I can use that larger triangular piece at top right. Here I've glued it on OVER the version of this same print, see how it lines up just like you are paper piecing. And finally I used that border I trimmed out (from the first pic) to go across a Pure Luxury Lemon Drop mat. Card also uses Pure Luxury Little Boy Blue for the greeting (to bring out the blue on the daisies centers) Black Onyx, and Red Hot. Hope this inspires, have a beautiful day!